Zeus is a powerful tool for AWS EC2 / S3 / CloudTrail / CloudWatch / KMS best hardening practices. It checks security settings according to the profiles the user creates and changes them to recommended settings based on the CIS AWS Benchmark source at request of the user. 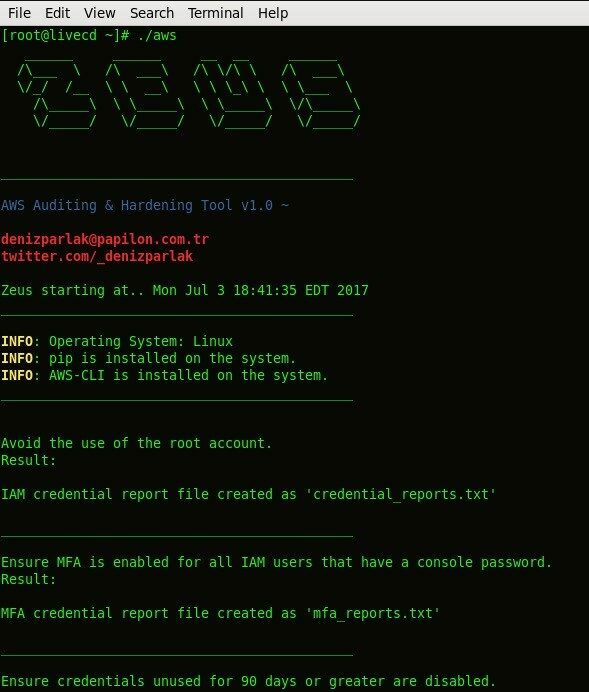 Zeus has been written in bash script using AWS-CLI and it works in Linux/UNIX and OSX. pip & aws-cli checking functions are added that based on operating system. Thanks to Deniz Parlak, for sharing this tool with us.